The section that includes the contacts is one of most important parts in ecommerce and CRM system, in our platform when a customer complete an order from the online store his contact info are stored in this section, also you can make a bulk import of contacts from a csv file and map the csv columns to the contact fields in our system. 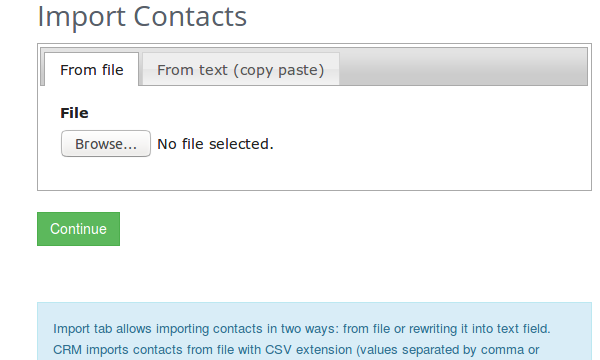 After the import you will be able segment your contacts in groups which are called audiences. You can send your marketing messages in each group through various media channel like bulk sms or target ads with facebook custom audiences. You can promote effectively each your product or services to most relative group of contacts and run A/B test campaigns through various mediums.